Last month, JP Morgan CEO Jamie Dimon wrote an op-ed in the Wall Street Journal, urging large banks and small to put aside their differences and get along for the greater banking good, and realize that actually, they&apos;re not so different. At least one representative of a li&apos;l bank, Camden Fine, didn&apos;t like that idea, and told Dimon as much (via Bloomberg), claiming that Dimon&apos;s motives were "...just an attempt to link the interests of mega banks to community banks in order to mitigate the political heat that is on them right now. CEO’s of all the too-big-to-fail banks are clearly worried about the political climate." 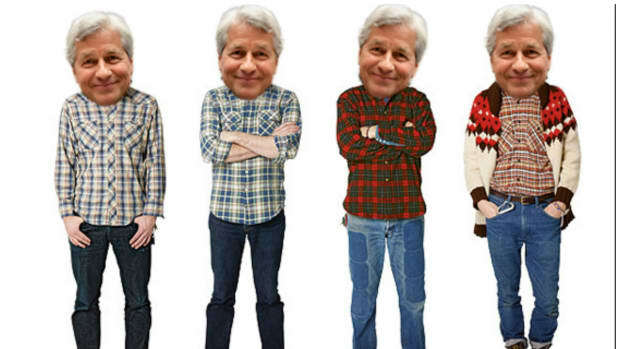 Did Dimon take the opportunity to try and appeal to Fine in other ways, like, say, sending an Edible Arrangement for everyone at the Independent Community Bankers of America to enjoy, or springing for a popcorn of the month club? Not exactly. Speaking on CNBC Wednesday, this was what Dimon had to say about Fine. 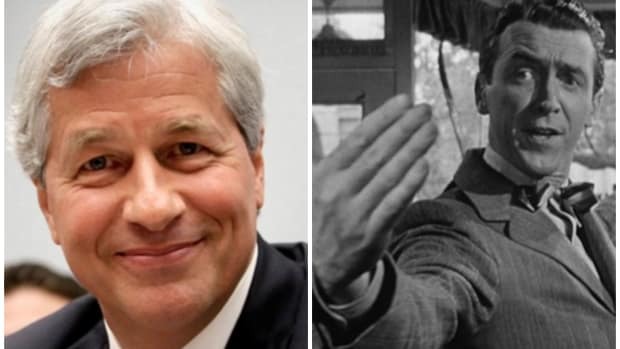 "I think the guy who wrote that is a jerk," Dimon said in a phone interview. Dimon urged for an end to "bank on bank violence." You hear that, bozo? Be nice!